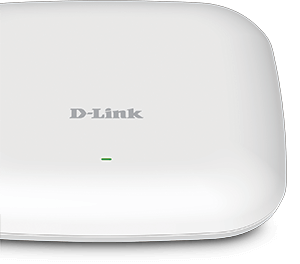 The DAP-2610 delivers reliable, high-speed wireless performance. 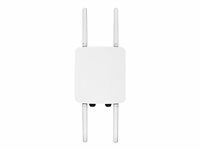 It is an ideal access point for audio, video, and voice applications. 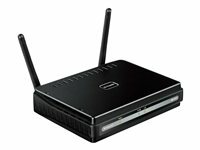 When enabled, QoS allows the DAP-2610 to automatically prioritize network traffic according to the level of interactive streaming, such as HD movies or VoIP. 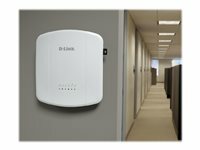 The DAP-2610 allows network administrators to deploy a highly manageable and extremely robust simultaneous dual-band wireless network. 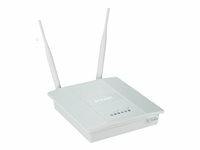 The DAP-2610 can provide optimal wireless coverage over either the 2.4 GHz or the 5 GHz bands. 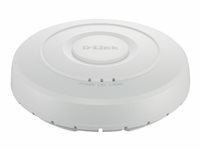 The DAP-2610 can be ceiling mounted, wall mounted, or placed on a desktop to meet any wireless demands. Network administrators have multiple options for managing the DAP-2610, including web, SSL, and more. For advanced network management, administrators can configure and manage multiple access points from a single location.